FairLifts agents working alongside a local network of proficient operators arranges pipeline inspections, surveys, and patrols in Oklahoma to pinpoint irregularities and conduct construction excavation, or check for erosion. We strive to guarantee cost-effective and efficient solutions through detailed, GPS-encoded, imaging of problem areas to ensure an immediate response. 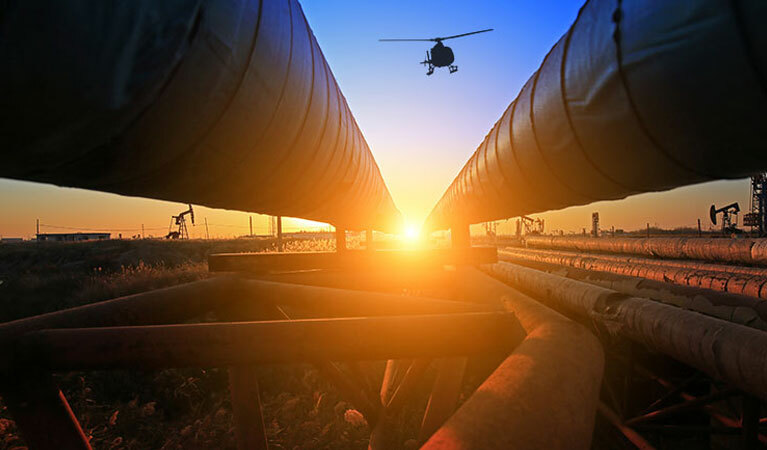 In Oklahoma, ground pipeline inspections, surveys, and patrols are not always possible in inaccessible areas, therefore, helicopter inspections are indispensable to check lines at lower altitudes, where aircraft can hover or land to capture high-resolution images. In Oklahoma, the energy industry employs the state’s largest workforce – more than 220,000 people. On average, nearly $51.7 billion of state production is generated and oil and gas output continues to grow as technology enhances the success ratio of extraction efforts. Oklahoma has five petroleum refineries with a combined capacity of more than 500,000 barrels per day, approximately 3 percent of the total U.S. capacity. Oklahoma is the country’s third largest producer of wind power with 6,645 megawatts of wind capacity. The state is also ranked sixth in solar power potential, and 2.9 megawatts of solar capacity were installed in Oklahoma in 2016. In the past five years, Oklahoma’s university system has given out nearly 7,000 degrees annually in the energy sector alone. FairLifts schedules qualified pipeline inspections, surveys and patrol solutions for the oil and gas industry in the state of Oklahoma. Trained pilots are on hand to offers cost-effective and efficient pipeline inspections and surveys, cargo shipments, emergency response, leak location assistance, and crew transport. Qualified agents schedule regular pipeline inspections and surveys to pinpoint anomalies, leaks, damage or erosion. We facilitates helicopters equipped with sensor light detection and ranging (LIDAR that is integrated into a Geographic Information System (GIS) in order to assess images and GPS information straightaway. FairLifts books dependable pipeline cargo shipments for logistical support, isolated facilities, pipeline construction, oversized loads and precision long-lining for large drill rigs and pipeline infrastructures. 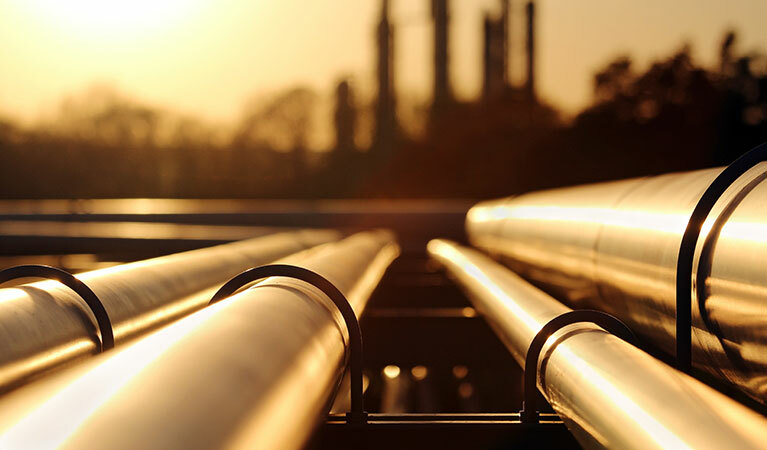 We facilitates trustworthy solutions to keep oil and gas industry operations up and running. FairLifts can organize on-demand emergency response and leak location assistance during emergency medical situations at offshore and onshore oil and gas sites to safeguard crews and staff. We facilitate trained staff and supplies for urgent medical assistance, as well as crews and equipment for repairs. FairLifts reserves immediate crew transport to offshore and onshore locations for production and exploration operations, ad hoc supply and equipment delivery missions, emergency flights, freight and cargo services, and company tours. We facilitate timely helicopter transport for the oil and gas industry. Our team of expert account managers are standing by to schedule qualified pipeline inspections and helicopter solutions and offer additional information and quotes for pipeline inspection, survey and patrol solutions in Oklahoma. Ada - Altus - Alva - Anadarko - Antlers - Arapaho - Ardmore - Arnett - Atoka - Bartlesville - Beaver - Boise City - Buffalo - Chandler - Cherokee - Cheyenne - Chickasha - Claremore - Coalgate - Cordell - Duncan - Durant - El Reno - Enid - Eufaula - Fairview - Frederick - Guthrie - Guymon - Hobart - Holdenville - Hollis - Hugo - Idabel - Jay - Kingfisher - Lawton - Madill - Mangum - Marietta - McAlester - Medford - Miami - Muskogee - Newkirk - Norman - Nowata - Okemah - Oklahoma City - Okmulgee - Pauls Valley - Pawhuska - Pawnee - Perry - Poteau - Pryor - Purcell - Sallisaw - Sapulpa - Sayre - Shawnee - Stigler - Stillwater - Stilwell - Sulphur - Tahlequah - Taloga - Tishomingo - Tulsa - Vinita - Wagoner - Walters - Watonga - Waurika - Wewoka - Wilburton - Woodward, and more.